The link between asthma and cows' milk is familiar to many young asthma sufferers and their parents. I first became aware of the connection through my cousin's experiences with his four-year-old son. Since infancy, my cousin's son has experienced severe asthma attacks and has been hospitalized twice for asthma-related pneumonia. When his asthma attacks become more frequent or more severe, my cousin and his wife respond by temporarily eliminating milk and milk products from his diet, and it usually works. I always assumed that milk worsened his asthma by stimulating mucus production in his lungs. However, studies suggest that, either along with or instead of creating excess mucus, milk may worsen asthma due to an undiagnosed milk allergy. "In all respiratory conditions, mucous-forming dairy foods, such as milk and cheese, can exacerbate clogging of the lungs and should be avoided," writes Professor Gary Null in his Complete Encyclopedia of Natural Healing. Very simply, when more mucus accumulates in the lungs than can be expelled, asthma attacks develop. This belief has long been held in practiced medicine, and many medical doctors still stand behind this theory. At the same time, many other doctors and researchers are now beginning to feel that undiagnosed milk allergies may be the underlying problem behind the link between milk and asthma. As Dr. Robert M. Giller writes in Natural Prescriptions, eliminating dairy products from the diets of many adult and child asthma patients helps "not because dairy products stimulate mucus production but because they're very common causes of allergy, upper-respiratory allergies and asthma (which may be an allergy in itself)." "Milk is one of the two or three most common food allergens in the American diet," says allergy specialist Dr. James Braly in Bill Gottlieb's book Alternative Cures. In fact, Dr. Frank Oski, the chief of pediatrics at the John Hopkins School of Medicine, believes that 50 percent of all schoolchildren may be allergic to milk, though many of them remain undiagnosed. Some researchers believe that the figure may be even higher, up to 60 percent of children, according to Dr. Charles R. Attwoods's book, A Vegetarian Doctor Speaks Out. When most people think of milk allergies, they think of anaphylactic shock -- a severe, life-threatening allergic reaction that can only be relieved with a shot of epinephrine. However, allergies sometimes manifest in very different ways, and these may change throughout a person's life. In Get Healthy Now, Professor Null explains a milk allergy's changing symptoms: "Even if the symptoms are not the same, the underlying allergy may be. A child who has suffered milk-associated asthma, for instance, may have severe acne as a teenager. The milk allergy is still there, but its symptoms have moved to a different organ system, often misleading the patient and physician into thinking that the original allergy has been outgrown." According to Alternative Medicine, up to half of all infants may be sensitive to cows' milk. As a result, symptoms of an underlying milk allergy may start as early as infancy, only manifested as eczema, a symptom that may remain later on in childhood and adulthood. Furthermore, in addition to asthma and eczema, an underlying milk allergy may manifest as bronchitis, sinusitis, autoimmune disorders, frequent colds and ear infections and even behavioral problems. Like any dairy allergy, the milk protein is probably the cause of allergy-related asthma. However, according to Dr. Oski, some children and adults may not be allergic to the milk itself, but rather the small amount of antibiotics passed into the milk from dairy cows. Dr. Oski explains this phenomenon: "Antibiotics, most commonly penicillin, are given to cows for the treatment of mastitis, an inflammation of the udders. Cows are not supposed to be milked for 48 hours after receiving penicillin. Often this precaution is not followed and then penicillin appears in the milk in small quantities." If you or your child is part of the estimated one percent of the United States population who develop symptoms of penicillin allergy after drinking antibiotic-contaminated milk, you may be able to stop your allergy by drinking milk from cows that are not treated with antibiotics. To be on the safe side however, you may want to entirely eliminate cows' milk from your or your asthmatic child's diet. Whether milk causes excess mucus production, is an undiagnosed allergy or a combination or both -- research suggests that milk definitely worsens asthma. Accordingly, a diet that is free of both milk and meat, another common allergen, can greatly lessen asthma symptoms. According to a study of 25 patients reported in Jean Carper's book, Food: Your Miracle Medicine, after following a milk- and meat-free diet for only four months, 71 percent of the patients experienced an improvement in their asthma symptoms. After a year, asthma improved in 92 percent of the patients. On a larger scale, Dr. Joseph Pizzorno, President Emeritus of Bastyr University, found that 25 percent of respiratory patients experienced long-term improvement after following a vegan diet, a diet that contains no animal products -- dairy, eggs and meat -- whatsoever. While considering a milk-free diet for themselves or their children, many people worry that doing so will result in a calcium deficiency. In a Washington press conference, Suzanne Havala, registered dietician and co-author of the American Dietetic Association's 1992 edition of its position paper on vegetarian diets, said that after weaning, humans do not need to drink milk: "Vegetarians and their children get all the calcium they need from leafy vegetables, broccoli, tahini and tofu made with calcium sulfate." So, according to research, if you have asthma, you can happily adjust to life without cows' milk without really missing anything, except severe asthma attacks. A prime consideration for those with asthma should be the identification and elimination of allergens in foods and in the environment. Although any food is suspect, the ones most likely to trigger asthma are dairy products, eggs, chocolate, wheat, corn, citrus fruits, and fish. … In all respiratory conditions, mucous-forming dairy foods, such as milk and cheese, can exacerbate clogging of the lungs and should be avoided. I treated a patient who was fond of yogurt and, for health reasons, prepared it from skim-milk powder. This produces yogurt with a much higher lactose content than yogurt from full-fat milk (see table 5-1). When I persuaded her to use somewhat less yogurt and prepare it only from whole milk without additional skim-milk powder, her asthma disappeared for good. The asthma-causing skim-milk yogurt provided approximately 50 g of lactose per day, while she was asthma-free on whole-milk yogurt with about 5 g of lactose daily. When I was in medical school, I read a book by a physician who had had good results in treating asthma in children by eliminating all milk and dairy products. When I discussed the book with my professors, they said it was nonsense. I guess there are still people around who discredit the idea, but I've found that eliminating milk and cheese from the diet can be helpful for both asthmatic adults and children. This is not because dairy products stimulate mucus production but because they're very common causes of allergy, upper-respiratory allergies, and asthma. Type As, as you will remember, naturally produce copious amounts of mucus, and when they eat foods that are mucus producing (such as dairy), they suffer from too much mucus, which can exacerbate respiratory problems. In this case, when Type As are careful to avoid mucus-producing foods, and when the causes of the stress are addressed positively, their asthmatic condition always improves or is eliminated. Ah, milk. It's right up there with Mom and apple pie as a national icon, a nutritional necessity (or so we're told) for strong bones and sparkling teeth. Well, many alternative practitioners say that all of those good things that you hear about milk are white lies. "Milk is not a perfect food, as is frequently advertised," says Jacqueline Krohn, M.D., a physician in New Mexico. Milk, she says, can cause allergic symptoms of all kinds, such as diarrhea, asthma, ear infections, rashes, and hives. "Milk is a misunderstood and vastly overrated food," agrees James Braly, M.D., an allergy specialist in Boca Raton, Florida. "Ironically, while milk products are the most commonly consumed foods, milk is one of the two or three most common food allergens in the American diet," he says. Mead interviewed Frank A. Oski, M.D., chief of pediatrics at Johns Hopkins School of Medicine, who stated: At least 50 percent of all children in the United States are allergic to cow's milk, many undiagnosed. Dairy products are the leading cause of food allergy, often revealed by diarrhea. constipation, and fatigue. Many cases of asthma and sinus infections are reported to be relieved and even eliminated by cutting out dairy. The exclusion of dairy, however, must be complete to see any benefit. Though I haven't had asthma since leaving home for college at age seventeen. Many years later, during my pediatric specialty training, I made the connection: Milk and dairy products, which I never really liked, had been discontinued when I left home for college. During the following years, as a practicing pediatrician, I would see this relationship of asthma, and several other allergic disorders, to dairy products time and time again. After seeing two generations of my patients struggle with this malady, I've come to the conclusion—which is now shared by many allergists—that six out of ten children are allergic to milk protein. Not all are asthmatics; many have recurrent middle-ear infections, allergic rhinitis and, especially in infants, chronic skin rashes such as eczema. Older children and adults often manifest their food-related allergies as chronic bronchitis and sinusitis. But asthma itself may persist for a lifetime. Even if the symptoms are not the same, the underlying allergy may be. A child who has suffered milk-associated asthma, for instance, may have severe acne as a teenager. The milk allergy is still there, but its symptoms have moved to a different organ system, often misleading the patient and physician into thinking that the original allergy has been outgrown. For babies who are not breast-fed, prepared formulas may contribute to colic. Cow's milk, commonly found in infant formulas, is often the culprit. According to Dr. Smith, up to 50% of infants are sensitive to cow's milk, which can precipitate not only colic but also diarrhea, rashes, ear infections, asthma, and other conditions. Prepared cow's milk formulas may include many additives such as high-fructose corn syrup, which can cause problems for infants. Dr. J. Dan Baggett, a practicing pediatrician in Alabama, has been interested for a number of years in the possible harmful effects of cow milk. Here are portions of a letter written by Dr Baggett describing his experiences: When I opened my practice here in Montgomery, Alabama, in I960, I was aware of a causal relationship between cow milk protein in the diet and infantile eczema. I also knew that many of these eczematoid children became asthmatics later on unless their eczema could be cleared early by dietary manipulation. This prompted me to begin a system of dietary prophylaxis against allergic disease among the newboms in my care. We determined that Rose had an almost lifelong condition that explained not only her asthma but her eczema, sinus infections, and digestive symptoms as well. Subsequent testing confirmed our suspicion: Rose suffered from a strong dairy allergy. When she was a child, this manifested itself as eczema; as a young adult she developed the sinus infections. Antibiotic treatment aggravated Rose's digestive problems by changing the delicate balance of bacteria in her gut. And as she continued to eat dairy products, her symptoms became worse and the asthma appeared. Now she was taking the standard asthma treatment, which seemed to be helping, but was causing measurable bone loss. The solution was simple. We eliminated dairy products entirely from Rose's diet. She was amazed at the results. Not only did her asthma improve to the point where she no longer needed to take her medications on a daily basis, but her digestive symptoms cleared up as well. If you or your spouse has allergies, asthma, eczema, autoimmunity, bronchitis, or sinusitis, or if your child is experiencing frequent colds and ear infections, it is worth experimenting with total elimination of cow's milk in all of its forms. Goat's milk is OK, as is soy milk, but be aware that soy is a common allergen in infants, especially if it is introduced too early. People who suffer from recurring bouts of diarrhea, bronchitis, eczema, asthma, or runny nose, should be tested for a milk or cheese allergy and should avoid all allergens in their diet. The young mother of a seven-year-old boy handed me 11 a note from the grade-school dietitian. "Billy's diet has come to our attention," it read, "because he no longer selects milk in the cafeteria." Billy had recently given up milk, at my suggestion, because it worsened his asthma and eczema. They [milk allergies] are a leading cause of the chronic ear infections that plague up to 40 percent of all children under the age of six," Dr. Whitaker assures us. "Milk allergies are also linked to behavior problems in children and to the disturbing rise in childhood asthma." Milk is also an unappreciated terror in triggering "allergic" reactions that induce joint pain and symptoms of rheumatoid arthritis, asthma, irritable bowel syndrome and diarrhea. A number of allergic and environmental agents can precipitate asthma attacks, including pollen, dust, mold, animal dander, feathers, textiles such as cotton and flax, detergents, petrochemicals, air pollution, and smoke. According to James Braly, M.D., of Hollywood, Florida, wheat, milk, and eggs are among the most likely foods that will trigger an asthma attack. Antibiotics, most commonly penicillin, are given to cows for the treatment of mastitis, an inflammation of the udders. Cows are not supposed to be milked for forty-eight hours after receiving penicillin. Often this precaution is not followed and then penicillin appears in the milk in small quantities. People allergic to penicillin-an estimated 1 percent of the United States population-may develop symptoms of penicillin allergy after drinking milk contaminated with this antibiotic. The allergic reaction may take the form of hives, sneezing, asthma, or an unexplained rash. There's evidence that embracing vegetables totally and giving up all animal products helps relieve asthma. In a study of twenty-five patients, 71 percent improved after four months without meat and daily foods; after a year, 92 percent had improved! That meant no meat, fish, eggs or dairy products. Why did it work? Doctors say maybe because the diet deprived patients of possible allergens—agents in food that could trigger asthma. Joseph E. Pizzorno, N.D., President Emeritus of Bastyr University, in Seattle, Washington, has found that a vegan diet (elimination of all animal products, including dairy) can have a long-term positive effect on respiratory conditions, primarily asthma. In one study, Dr. Pizzorno noted significant improvement in 25 patients treated with a vegan diet. 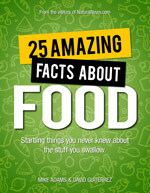 The diet excluded all meat, fish, eggs, and dairy products, and drinking water was limited to spring water. Going on milk-free diets can cause considerable improvement in some asthmatics. 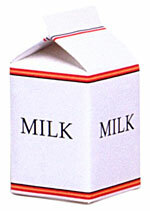 Though children are most apt to have asthmatic reactions to milk, it can also happen in adults. A twenty-nine-year-old man suddenly began to suffer from bronchospasms two or three times a week; each attack lasted for one or two hours. Every day he seemed to have a dry cough and some breathlessness after breakfast. His asthma became so severe that on a couple of occasions he had to go to a hospital emergency room. Then one day he drank a cold glass of milk, and 20 minutes later found himself in the emergency room with a major broncho-spasm and hives all over his body. He was treated with drugs and within an hour he had recovered. But his doctors in Madrid, Spain, kept him for further tests. Milk was the villain. When asked to drink a quarter cup of milk, he suffered a bronchospasm. When given dried casein (from milk) he had an attack of wheezing and abdominal pain within 20 minutes. David's stomachaches went away. Within one month the asthma was gone. David was happier and more emotionally stable. David's digestive problem was causing his asthma. Avoiding milk and wheat products and taking digestive supplements allowed David to live a normal life without dependency on steroids. Wouldn't you want to know if your child could get rid of or improve asthma (and other problems) through diet and digestive enzymes rather than through medication? Doesn't it make sense to try natural methods first? Suzanne Havala, a registered dietitian from North Carolina, who was a co-author of the American Dietetic Association's 1992 edition of its position paper on vegetarian diets stated at the Washington press conference that, after weaning, there is no need for milk of any sort. "Vegetarians and their children," she said, "get all the calcium they need from leafy vegetables, broccoli, tahini and tofu made with calcium sulfate." Dr. Russell J. Bunai, a pediatrician associated with the PCRM, who later took a two-year sabbatical from his practice to review the world literature on the subject, said,".. of all mammals, only humans drink the milk of another species." In Ghana, where he served as a medical missionary, he noted that the traditional diet contains no dairy products and that asthma and other allergic problems were uncommon. He saw these problems only in people who had adopted more westernized diets that included cow's milk.